There's a bunch of comic characters out there who are either popular without proper recognition, or underrated and deserve some more popularity. What better way to increase the awareness and prestige of a character than with a well-made and decently-promoted video game? Rocksteady helped take an already popular Batman and elevate him even more with the Arkham games, and Beenox has done a fair job of keeping Spider-Man in the limelight under Activision's banner. So with the right developer and a good enough gameplay concept at the center of the game's design, there's a few characters who could really shine with the proper spotlight shown on them within the interactive entertainment market. This list converges on a few comic book characters that definitely deserve a game; and not just based on how popular they are in the community. The list briefly discusses how these games could differ from the norm while also playing up to the attributes and thematic elements of the characters. Of course, you're likely to see a few familiar faces, but this is also about paying a bit of tribute to some of the lesser known and lesser appreciated heroes and villains of the comic book universe. So let's get started with these meager list of 5 comic book characters that definitely deserve their own video games. He's not as well known as some of the other comic book characters out there, but he has a very interesting premise. 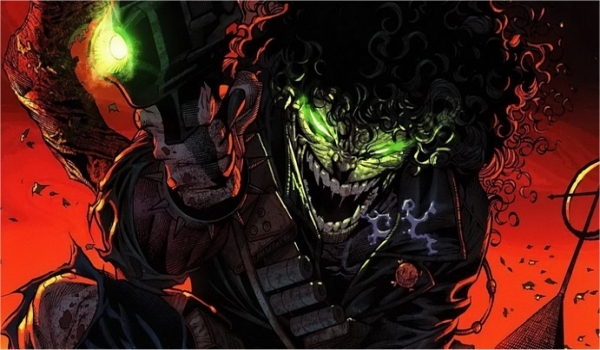 So he's essentially an anti-villain, he has super powers that allow him to revive the dead or turn others into necro-beings that follow under his command. He can absorb damage a lot like Spawn and his main task is to destroy the world. Now this is the perfect setup for a game that combines the likes of Brutal Legend, Legacy of Kain: Soul Reaver and Stubbs The Zombie: Rebel Without a Pulse. Players would have to use hack-and-slash tactics against opponents, using Ernie's evil energy-siphoning powers to either recharge his own life or turn enemies into his own undead followers. With today's generation of consoles this could enable players to have battles that scale from low-level street thugs early in the game, up to mid-level gang members, the police force and eventually the army. The goal? Well, blow up the world. It wouldn't be an Evil Ernie game any other way. The Flash is pretty well recognized so there's no need to give a history about his powers or abilities. He can run fast... very fast. A game featuring this speedy protagonist would be the perfect opportunity to make use of today's software design technology. 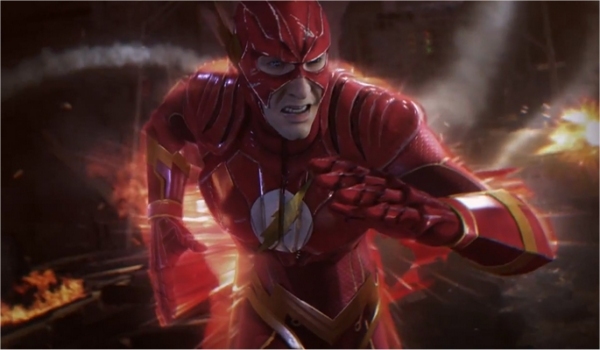 While there's always a constant debate in the gaming community about graphics and gameplay, The Flash: The Game would be the perfect way to marry graphics and gameplay into an interactive experience that focuses as much on cool gameplay mechanics as it does visual effects... especially motion effects. An open-world, Spider-Man-esque cityscape would be perfect for the speedy hero. Players could run fast, weaving and dodging obstacles and traffic while stopping crime along the way. The real trick is that at max speed The Flash would be able to slow down time. This would give players precision control over The Flash's actions in bullet-time, all while being able to see things around him moving at a snail's pace. This is where the visuals would really kick into high gear, as a special meter would limit just how slowed down things get and afford players an awesome look at seeing people getting beat up by a fast moving Flash while the bad guys' faces and bodies react to the hard-hitting blows in slow motion. 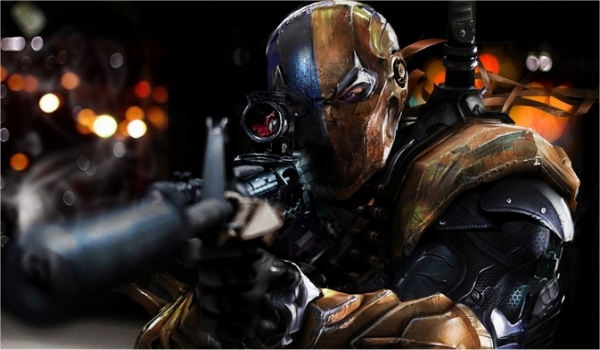 Imagine Hitman but starring Slade "Deathstroke" WIlson. The mercenary-for-hire with super strength and deadly combat skills is a real force to be reckoned with. A thin-enough storyline to help compel players to move through the stages is all this game needs (maybe a mysterious employer who turns out to be a real evil S.O.B will do). The real meat and potatoes would be level-based sandbox environments, giving players an opportunity to explore Deathstroke's abilities in various, very detailed stages, ala Hitman. The trick is that the combat would be similar to the Arkham games, so melee would be encouraged just as much as stealth. The difference between this and Hitman would be that when guards are alerted, they call for plenty of reinforcements... lots of reinforcements. So combat will be a heavy part of the game as opposed to covering your tracks. The penalty could be equivalent to breaking stealth in Payday 2, so you'll need to exercise extreme combat skill if you want to survive after triggering an alarm or such. Various skill and ability trees to upgrade Deathstroke for stealth, gun-play or melee combat (just like Alpha Protocol) could help give the game the sort of versatile gameplay opportunity to encourage players to replay various levels in different ways. A few boss battles and some cameos from other popular DC characters and this could be a real winner. We don't get many Gothic-themed RPGs, not counting Piranha Bytes' game series. Anything set within a sort of contemporary time frame with a Gothic setting is a rare occurrence. Sony is trying it a bit with the upcoming The Order 1886, but there's a real opportunity to explore a different take of that visual aesthetic with a character completely attuned to such themes. I'm talking about a game starring bad-girl Lady Death, the once innocent woman who made a deal with the devil and was cursed to spend eternity serving in the infernal realm. Her story is a tragic one of anti-villain type proportions, as the only way she can walk on Earth again is all life has been exterminated. This one story point could work in a number of ways, especially as a sort of post-Armageddon tale of battling for the remains of Earth's soul. Players would assume the role of Lady Death as she ventures about in a dark and twisted planet, sort of fusing the first Darksiders with the movie Underworld. With today's software technology (think Unreal Engine 4's layered materials) this could be one of those awesome, atmospheric action-RPGs where players battle angels, demons, the undead and everything else in between. 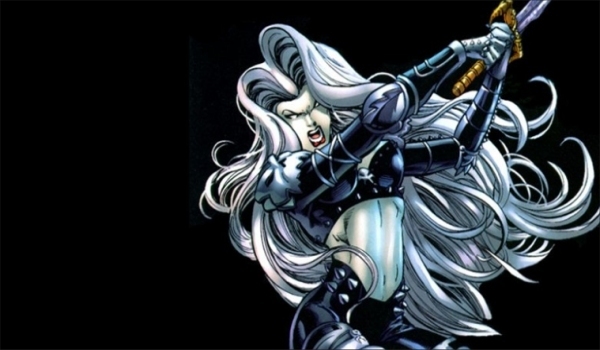 And just to keep the controversy on the down-low, they could even offer multiple outfits, armor types and weapons... you know, so complaints about Lady Death's rather flesh-centric outfits could be kept to a minimum. Oh yeah, and the perfect name for the game could be Lady Death: Gothic Knight. Parkour has really become a big staple in games these days. There's a ton of big and small games alike utilizing parkour elements – the ability to run, jump, hop, slide and scale over objects with acrobatics – that really help expand and explore the platforming genre like never before. This would be the perfect setup for a Green Arrow game, with players donning the role of Oliver Queen (Green Arrow) as they fight crime in Starling City from the urban rooftops using various upgradeable bows and trick-arrows. While hand-to-hand combat would be a given, the real trick would be in the different bow and arrow types that allow players to take down various foes. This would be key for boss battles, as players would need to equip or craft certain kinds of arrows in order to defeat various villains. 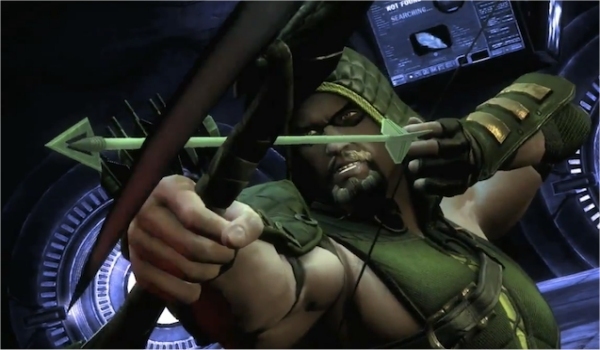 The game could also ratchet up the difficulty by making various bows come with attributes that help and hinder the player, such as larger bows zapping more of Oliver's stamina, but providing longer-range capabilities, or shorter bows allowing for quicker agility at the expense of being shorter ranged. We don't get many games that really focus on archery, and the combination of parkour-platforming could not only elevate the prestige of the Green Arrow brand, but also help give gamers a little something different from the annual Assassin's Creed outings.